On 7 November 1974, a nanny named Sandra Rivett was bludgeoned to death in a Belgravia basement. A second woman, Veronica, Countess of Lucan, was also attacked. The man named in court as perpetrator of these crimes, Richard John Bingham, 7th Earl of Lucan, disappeared in the early hours of the following morning. The case, solved in the eyes of the law, has retained its fascination ever since. 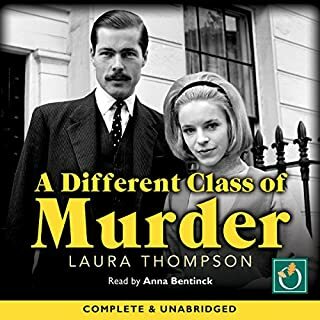 What made the experience of listening to A Different Class of Murder the most enjoyable? The very different perspective it had on the usual story of events. What does Anna Bentinck bring to the story that you wouldn’t experience if you had only read the book? The book is very well-read and the voice is easy to listen to. If the book had been about the little girl rather than her mother. Would you ever listen to anything by Kate McCann again? I'm sorry, no it didn't. 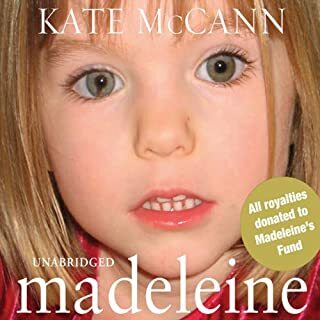 I was extremely disappointed and rather shocked by the way it was more like Kate McCann's uninteresting autobiography. 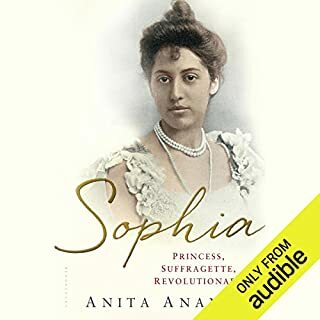 In 1876, Sophia Duleep Singh was born into Indian royalty. Her father Maharajah Duleep Singh was heir to the Kingdom of the Sikhs, one of the greatest empires of the Indian subcontinent, a realm that stretched from the lush Kashmir Valley to the craggy foothills of the Khyber Pass and included the mighty cities of Lahore and Peshawar. It was a territory irresistible to the British, who plundered everything, including the fabled Koh-I-Noor diamond. Would you listen to Sophia again? Why? This is a fascinating book, filled with historical detail and yet not dull. The history of India, and the story of this little known woman who lived such an interesting life. Have you listened to any of Tania Rodrigues’s other performances? How does this one compare? A wonderful book, beautifully read, so interesting and informative! Thank you! Excellent - it explains so much! 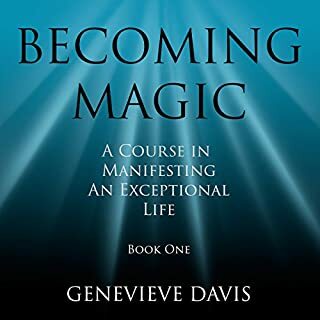 Would you listen to Becoming Magic again? Why? Yes - I have already listened to it several times and will do so again because it contains a message which is helpful. It is not a story but it explains in simple terms why so many other books on the same subject don't seem to work for some people. Have you listened to any of Fiona Hardingham’s other performances? How does this one compare? I have not listened to any other performances by this reader but she reads this wonderfully and I would listen to more books read by her. A really, really excellent book which brings many things together and clarifies them. 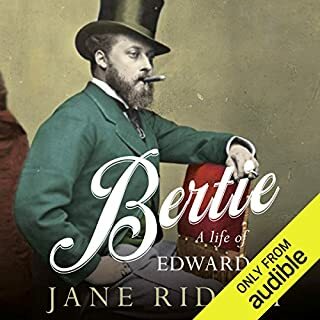 Would you consider the audio edition of Bertie: A Life of Edward VII to be better than the print version? I very much enjoyed the reader's ability to adopt appropriate accents and differentiate between the characters. Princess (later Queen) Alexandra was captured perfectly. I enjoyed the books but felt quite angry at what I perceive to be a very unjust portrayal of Prince Albert and Princess Alice. This is a really interesting book, filled with amusing anecdotes and packed with information. I believe that Prince Albert and Queen Victoria were treated too harshly (particularly Prince Albert) and also that Princess Alice was dismissed somewhat glibly as a sort of control-freak (as was her father). Nonetheless, I would recommend this book for the wealth of information about the eponymous 'hero'. In April 1940, the ninth Duke of Rutland died in mysterious circumstances in one of the rooms of his family estate, Belvoir Castle. The mystery surrounding these rooms holds the key to a tragic story that is played out on the brutal battlefields of the Western Front and in the exclusive salons of Mayfair and Belgravia in the dying years of la belle époque. Uncovered is a dark and disturbing period in the history of the Rutland family, and one which they were determined to keep hidden for over 60 years. Sixty years on, The Secret Rooms is the true story of family secrets and one man’s determination to keep the past hidden at any cost. 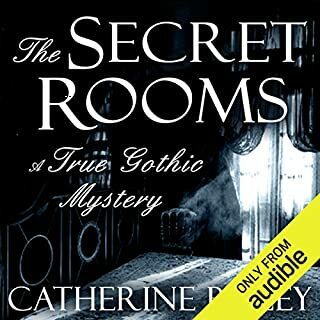 What did you like most about The Secret Rooms: A True Gothic Mystery? The story was gripping and the complex family relationships absorbing. The 'cliffhangers' and the atmospheric detail made me eager to hear more. What about Stephen Rashbrook’s performance did you like? Although there was some repetition in the narrative, I found it helpful in reminding me important details which I might otherwise have forgotten.